04/05/2019 – GEP alums all over PET SEMATARY remake opening today! 04/02/2019 – Jim Jarmusch takes a page out of GEP playbook with The Dead Don’t Die. 03/29/2019 – Weekends with GEP: Frankenden! Fessenstein! 03/28/2019 – THE RANGER coming to VHS! Pre-order now! 03/21/2019 – DEPRAVED review round-up! 03/21/2019 – Big Night Out: DEPRAVED premiere at WHAT THE FEST!? 03/12/2019 – Larry Fessenden’s DEPRAVED World Premiere at IFC Center’s What The Fest!? 03/08/2019 – Tickets on sale for DEPRAVED World Premiere! 03/04/2019 – THE RANGER nominated for Best Independent Film at the Rondo Awards! 03/01/2019 – Weekends with GEP: Ghoulish: The Art of Gary Pullin nominated for a Rondo Award. Cast your vote! 02/21/2019 – Hey America! HOLIDAY on the Radio Nationwide! 02/12/2019 – Jenn Wexler interview on Corpse Club Podcast! 02/08/2019 – Weekends with GEP: Amazon Prime loves Fessenden! 01/29/2019 – ORDER TODAY!! to get your Valentine’s Day Countdown Calendar by Feb First! 01/16/2019 – HOLIDAY live at The Bitter End! FRIDAY! 01/14/2019 – THE RANGER now available on Blu-Ray! 01/04/2019 – Weekends with GEP: THE RANGER now on DVD! 12/25/2018 – Happy Horrordays from Glass Eye Pix! 12/21/2018 – Weekends with GEP: Creepy Christmas Film Fest Update! 12/21/2018 – “86’d” now on Vimeo Staff Picks! 12/17/2018 – MS. CLAUS by Graham Reznick out now with original score download! 12/15/2018 – WILD RIDE by Larry Fessenden premieres at Creepy Christmas Film Fest! 12/14/2018 – Weekends with GEP: The 2018 CREEPY CHRISTMAS FILM FEST the gift that keeps on giving! 12/07/2018 – Weekends with GEP: Catch up on The 2018 CREEPY CHRISTMAS FILM FEST! 12/07/2018 – CLARA’S GHOST Now Playing! 11/30/2018 – Creepy Christmas Roundup: Exclusive photos! 11/29/2018 – Creepy Christmas trailer is here! An Entertainment Weekly exclusive! 11/28/2018 – Creepy Christmas Roundup! 11/26/2018 – Creepy Christmas Film Fest 2018 featured in Rue Morgue! 11/20/2018 – Get your Creepy Christmas Calendar in time for the holidays! 11/15/2018 – DEADWAX now streaming on SHUDDER! 11/14/2018 – THE RANGER is coming to Redbox 11/20! 11/07/2018 – The Morning After: Who are our heroes? 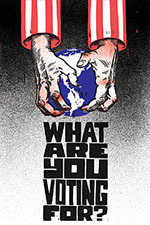 11/05/2018 – What Are You Voting For? 10/31/2018 – Happy Halloween from Glass Eye Pix! 10/26/2018 – Weekends with GEP: Ti West Double Bill! 10/23/2018 – Catskills Festival Roundup: Glass Eye Pix unspools 4 films at the fest this past weekend! 10/22/2018 – ’Tis The Season: Fessenden Flicks show up in best-of lists! 10/17/2018 – Glass Eye in the Catskills! 10/11/2018 – TBT: Mickle, Damici and Fessenden. 10/10/2018 – Friday Night, World Premiere of Michael Vincent’s ONLY A SWITCH! 10/10/2018 – GEP McKenney Classics unspool in Upstate NY Friday!! 10/03/2018 – Gearing up for Comic Con, original art at booth #136! 10/01/2018 – NEW YORK COMIC CON 2018, Only A Few Days Away! 09/27/2018 – TBT: Fessenden at New York Comic Con! 09/27/2018 – THE RANGER rages on! 09/25/2018 – Time to order your HALLOWEEN Advent Calendar! Buy TODAY, get it by Oct 1st! 09/24/2018 – Guerillas: Omnibus Edition by GEP pal Brahm Revel, coming Feb 27! 09/17/2018 – Hey New York! Jenn Wexler’s THE RANGER is back in town! 09/10/2018 – AUTOMATONS featured in new book: Indie Science Fiction Cinema Today. 08/29/2018 – FEAR ITSELF now streaming on Shudder! 08/27/2018 – THE RANGER review round-up! 08/23/2018 – TALES Big Night Out! 08/20/2018 – GEP Dispatch #22: TALES FROM BEYOND THE PALE at Lincoln Center Aug 22! 08/17/2018 – Weekends with GEP: THE RANGER at IFC Center! 08/16/2018 – THE RANGER sneak preview TONIGHT at the IFC Center! 08/13/2018 – THE RANGER Sneak Preview in NYC 8/16, Filmmakers in Attendance! 08/10/2018 – Weekends with GEP: LIKE ME Blu-Ray Giveaway! 08/09/2018 – TALES FROM BEYOND THE PALE at Lincoln Center Aug 22! 08/08/2018 – From The Archives: TALES at The Green Space. 08/03/2018 – Weekends with GEP: Psychopaths on Amazon Prime! 08/02/2018 – LIKE ME featured on Shock Waves podcast! 08/01/2018 – COUNTING DOWN: Four months till the Creepy Christmas Film Festival! 07/30/2018 – Chloe Levine and Jeremy Holm talk THE RANGER with Daily Dead. 07/27/2018 – Weekends with GEP: The Mind’s Eye on Shudder! 07/27/2018 – THE RANGER Fantasia review round-up! 07/26/2018 – TBT: Eric Per Sullivan and Fessenden. 07/25/2018 – SciFi Now: THE RANGER Fantasia 2018 First Look Review. 07/23/2018 – THE RANGER unspools at Fantasia TONIGHT! 07/20/2018 – Tales From Beyond The Pale returns to Lincoln Center 8/22! 07/13/2018 – THE RANGER premieres in Ireland on Friday the 13th! 07/03/2018 – THE RANGER at Fantasia 7/23! 06/29/2018 – Weekends with GEP: LIKE ME now on Amazon Prime! 06/28/2018 – THE RANGER is opening Fright Fest! 06/27/2018 – Great Western Catskills Film Fest starts October! 06/20/2018 – GEP pal Adam Schartoff archives Fessenden interviews. 06/14/2018 – The Ranger Roams West Coast! 06/14/2018 – TBT: Travolta and the boys cut a rug! 06/13/2018 – Attention Satanists! The House of the Devil is for SALE! 06/08/2018 – HOME IS WHERE THE HORROR IS. 05/31/2018 – THE RANGER heads to Fantaspoa Film Fest in Brazil! 05/25/2018 – Happy Memorial Day from GEP! 05/04/2018 – The Strangers LIVE May 5th! 04/17/2018 – GEP pal Graham Reznick talks “A Quiet Place” with Hollywood Reporter! 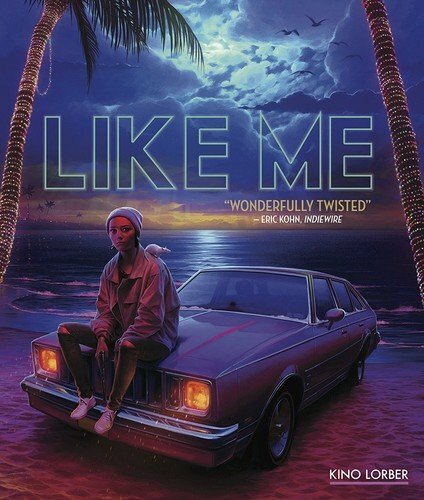 04/04/2018 – LIKE ME now on Blu Ray! 04/04/2018 – THE RANGER review round-up! 03/28/2018 – The Ranger SOLD OUT in NYC! 03/14/2018 – Bloody Disgusting: ‘FEAR2000’ Conference Welcomes Larry Fessenden & Unveils Programme! 02/20/2018 – Rob Mocker’s LIKE ME starts streaming today! 01/25/2018 – Catch the Livestream Q&A with LIKE ME Director Robert Mockler and Fessenden! 01/25/2018 – ORDER NOW: Glass Eye Pix’s Valentine’s Day Countdown Calendar!! 01/24/2018 – GEP Dispatch #21: Robert Mocker’s LIKE ME in theaters Jan 26! 01/05/2018 – EPIC podcast on TALES warrants second posting! 12/20/2017 – Tis the season: Fessenden’s SANTA CLAWS! Happy holidays! 12/01/2017 – Mickey Keating’s PSYCHOPATHS Opens Today! 11/28/2017 – Get your Creepy Christmas Calendar in time for the holidays! 11/21/2017 – MOST BEAUTIFUL ISLAND nominated for a 2018 Independent Spirit Award! 11/01/2017 – IndieWire: Overlook Film festival moves to New Orleans! 10/30/2017 – LISTENING PARTY! Join us live at 6:30 SHARP! 10/24/2017 – Tales From Beyond the Pale on VINYL! 10/17/2017 – BLAST FROM THE PAST: TALES Minidoc! 10/13/2017 – TALES FROM BEYOND THE PALE season IV OUT TODAY!! 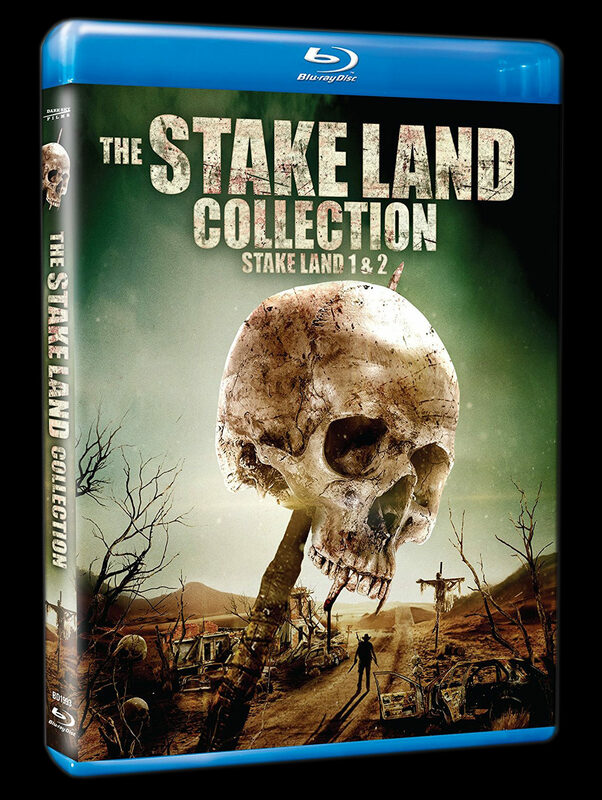 10/03/2017 – The Stake Land Collection; now available on Blu-ray and DVD! 10/01/2017 – Glass Eye Pix welcomes you to SHOCKTOBER! 09/20/2017 – MOST BEAUTIFUL ISLAND to release November 3rd! 08/24/2017 – NEW EP from punk pop trio THE STRANGERS out today! 08/07/2017 – GEP pal Glenn McQuaid talks Records and Seances! 07/25/2017 – Attention DVD Lovers: STRAY BULLETS now available at NETFLIX on DVD! 07/14/2017 – Fessenden wins best performance at the Develop Awards! 06/05/2017 – MOST BEAUTIFUL ISLAND at BAM: buy your tickets now! 05/17/2017 – Wexler’s RANGER wraps! 04/20/2017 – The Ranger: Cast announced! 04/08/2017 – See THE TRANSFIGURATION this weekend! 04/05/2017 – The Transfiguration opens in NYC FRIDAY! 03/20/2017 – SXSW Photo Round-Up! 03/16/2017 – PSYCHOPATHS at Tribeca. Premiere dates announced! 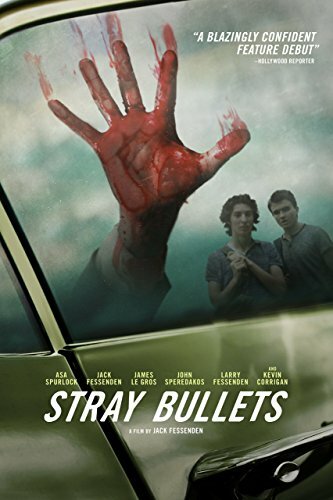 03/14/2017 – Jack Fessenden’s STRAY BULLETS out on DVD 14 March! 03/11/2017 – Bloody Disgusting: ‘Like Me’ Looks Like a Gritty Florescent Trip! 03/10/2017 – Fessenden and Reznick in the Guinness Book of World Records! 02/16/2017 – Last Day to see STRAY BULLETS in the theater!! 02/15/2017 – Have YOU watched GIRLFRIEND’S DAY yet…? 02/09/2017 – Exclusive: Alternate posters give STRAY BULLETS some teenage kicks! 02/08/2017 – MOVIE ELITE – Interviewed Nick Damici on behalf of Stake Land II. 02/08/2017 – OZY: Profile of Jack Fessenden in the trendy rag. Check it! 02/03/2017 – Entertainment Weekly serves us a taste of Stake Land 2 with this exclusive clip! 01/24/2017 – Long Nights Short Mornings on VOD and iTunes! 12/16/2016 – EW exclusive: STAKE LAND 2 trailer! 12/01/2016 – It’s not too late to order your Creepy Christmas Calendar! 11/30/2016 – GEP timeline updated! Check it! 11/08/2016 – VOTE TODAY. GOOD LUCK WORLD. 10/31/2016 – Tales From Beyond the Pale LIVE @ The Overlook Film Festival! 10/30/2016 – JUST IN TIME FOR HALLOWEEN: “I Sell The Dead” gets a Shout-Out! 10/25/2016 – Fangoria reports: Tales From Beyond the Pale live at Lincoln Center! 10/19/2016 – Tales from Beyond the Pale LIVE @ Lincoln Center! 10/19/2016 – Stake Land 2 Canadian premiere! 10/17/2016 – CERTAIN WOMEN wins at BFI London Film Festival! 10/13/2016 – The Egg and the Hatchet plays in Montreal tonight! 10/10/2016 – New York Comic Con 2016 – GEP Roundup! 10/07/2016 – TALES FROM BEYOND THE PALE special NYC appearance Tonight 10/7/16 !! 10/04/2016 – GEP pal Glenn McQuaid to DJ Brooklyn Horror Film Fest! 10/04/2016 – indiewire: “We don’t appreciate Kelly Reichardt enough”! 10/02/2016 – Hudson Valley: Lights! Camera! Action! 09/27/2016 – STAKELANDER (AKA STAKE LAND 2) to premiere on SYFY October 15! 09/26/2016 – Fessenden chats about current & upcoming GEP projects! 09/23/2016 – Time to order your HALLOWEEN Countdown Calendar! 09/21/2016 – Tales from Beyond the Pale LIVE at Lincoln Center! 09/14/2016 – THE STAKELANDER to Premiere at Sitges! 08/31/2016 – NO WAY TO LIVE premiering in LA! 08/04/2016 – THE MIND’S EYE by Joe Begos hits theaters August 5! 08/04/2016 – sudden price drop on SUDDEN STORM! 08/02/2016 – Are you on Shudder? Fessenden is. 08/02/2016 – Fessenden’s favorites from Shudder collection! 08/01/2016 – Fessenden talks up a storm with Daily Grindhouse! 07/16/2016 – DARLING is Now on Netflix! 07/05/2016 – Dust off the ol’ record player, Darling is now on LP! 06/29/2016 – Shudder Labs is here to kickstart your nightmares! 06/29/2016 – Carnage Park at IFC Center TONIGHT! 06/21/2016 – Stake Land sequel digs fangs into post production! 06/16/2016 – ‘The Mind’s Eye’ Poster Will Sear Your Retinas! 06/14/2016 – Mind’s Eye trailer unleashed! 06/08/2016 – Introducing: the first-ever Shudder Labs Fellows! 05/26/2016 – Are you on “Shudder” the horror streaming service? 05/25/2016 – So long Gingold, we’ll miss you! 05/24/2016 – Darling now on DVD! 05/23/2016 – ‘Carnage Park’ poster takes aim! 05/21/2016 – Extended Cuts: RIVER OF GRASS interview, cont. 04/07/2016 – UNTIL DAWN wins BAFTA Gaming Award! 04/07/2016 – Off to the BAFTA Awards! 04/07/2016 – Darling round up! 04/06/2016 – Watch the BAFTA Awards LIVE! 04/05/2016 – DARLING haunts theaters FRIDAY! 04/02/2016 – DARLING NYC Opening Night – PICS! 04/01/2016 – DARLING in NYC/Toronto TONIGHT! 03/31/2016 – ‎DARLING‬ stalks theaters tomorrow! 03/30/2016 – Your daily dose of DARLING reviews! 03/25/2016 – DARLING – One Week Away! 03/17/2016 – RIVER OF GRASS at Boston’s Brattle Theater this week! 02/22/2016 – “Horror Films by Subgenre” available now! 02/13/2016 – For Your Consideration: The 2016 Chainsaw Award Nominees for Best Supporting Actor! 02/11/2016 – DARLING Trailer Now Up on iTunes! 01/10/2016 – ANGUS SCRIMM, R.I.P. 01/06/2016 – WE ARE STILL HERE Nabs 8 2015 Fright Meter Award Nominations: Fessenden Nominated for supporting thesp. 11/27/2015 – TALES SEASON 3 Now Available! 10/20/2015 – Entertainment Weekly: THE FESSENDEN COLLECTION Released Today, October 20. 10/12/2015 – Comic Con 2015 Recap! 10/12/2015 – GLASS EYE PIX CELEBRATES 30 YEARS WITH NEW MINI-DOC SERIES!! 08/14/2015 – EW has a New Trailer for POD! 07/23/2015 – Principal Photography on STRAY BULLETS wraps! Cast Announced! 07/22/2015 – TALES FROM BEYOND THE PALE at Fantasia! 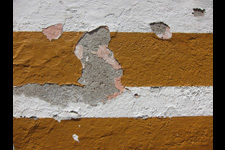 07/21/2015 – Another TALE FROM BEYOND THE PALE wraps! 07/08/2015 – Shout! Factory – The Larry Fessenden Collection Artwork Revealed! 07/07/2015 – Fantasia International Announces Full Lineup, Including TALES FROM BEYOND THE PALE: LIVE! 06/22/2015 – New Game Network Previewed UNTIL DAWN at E3! 05/28/2015 – New UNTIL DAWN Cover Art! 05/26/2015 – UNTIL DAWN Hits PS4 on August 25th! 05/13/2015 – FANGO FEED: favorite GEP flick? 05/11/2015 – ‘Late Phases’ Shreds Onto Netflix! 04/29/2015 – TALES enthusiast: You Must See It! You Must! 04/22/2015 – Oscilloscope Acquires ‘Body’! 04/13/2015 – Filmspotting Names HOUSE OF THE DEVIL One of Top 5 21st Century Horror Movies! 04/08/2015 – LISTEN UP TORONTO! Head over to The Black Museum Tonight! 03/12/2015 – The Gorch is BACK! 03/12/2015 – Another TALES FROM BEYOND THE PALE wraps in L.A.
03/10/2015 – Today! LATE PHASES Out On DVD, BLU-Ray! 03/09/2015 – Tomorrow’s The Day! LATE PHASES on Blu and DVD! 03/09/2015 – One Day Left to Pre-order Your Copy of LATE PHASES! 03/08/2015 – Another Tale from Beyond the Pale wraps in L.A.
03/06/2015 – NY Vampire Fans! Three ’90s Indie Bloodsucker Classics Screen Sunday! 03/05/2015 – Pre-Order your copy of LATE PHASES Today! 03/04/2015 – Fessenden Joins Cast of NO WAY TO LIVE, Now Shooting in L.A.
01/15/2015 – GEP Nominations – 2015 FANGORIA Chainsaw Awards! 12/30/2014 – Bloody Disgusting’s got behind-the-scenes LATE PHASES werewolf pics! 12/16/2014 – I SELL THE DEAD Coming To Vinyl! 12/09/2014 – TALES Now Available for the First Time on Vinyl! 11/25/2014 – LATE PHASES #6 on iTunes– Let’s Break Top 5! 11/23/2014 – CREEPY CHRISTMAS ADVENT CALENDAR – Get Yours Now! 11/18/2014 – LATE PHASES Premieres This Friday! 10/25/2014 – TALES FROM BEYOND THE PALE LIVE: LOS ANGELES – Poster Revealed!!! 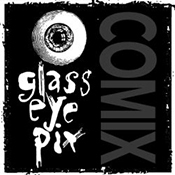 10/23/2014 – Glass Eye Pix OCTOBER MADNESS!!! 10/20/2014 – LATE PHASES at the Woodstock Film Fest: Glass Eye celebrates! 10/13/2014 – Tales From Beyond The Pale Vinyl Pre-Order Starts Today! 10/13/2014 – Comic Con 2014 Recap! 10/02/2014 – ABCs of DEATH 2 premieres on V.O.D. Tonight! 09/24/2014 – Time to Order Your Halloween Countdown Calendar! 09/18/2014 – Birth Of The Living Dead Original Soundtrack now available at CD Baby! 08/28/2014 – TALES FROM BEYOND THE PALE LIVE! Coming to LA’s Cinefamily! 08/19/2014 – THE KELLY REICHARDT COLLECTION is coming to Blu-ray! 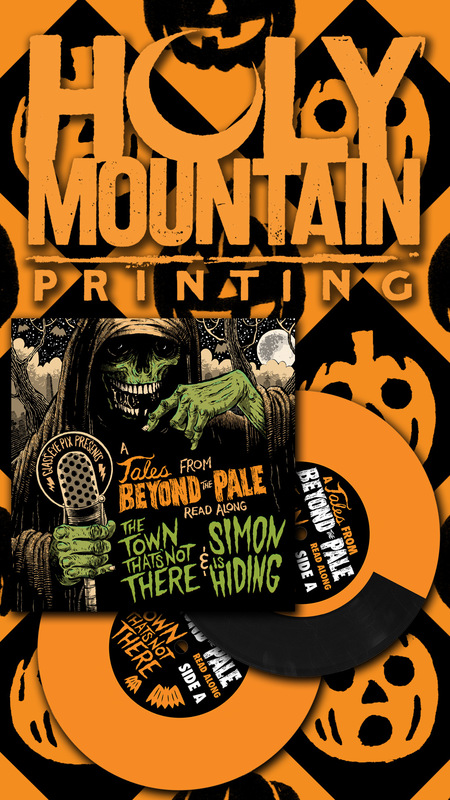 08/07/2014 – TALES FROM BEYOND THE PALE coming to vinyl! 08/01/2014 – THE ABCs OF DEATH 2 arriving this October! 06/23/2014 – PopDose Premieres Fessenden’s Frankenstein Music Video! 05/10/2014 – Indiewire: Are Indie Horror Movies In Trouble? 04/28/2014 – Stanley Film Festival 2014 Recap! 03/26/2014 – TALES FROM BEYOND THE PALE LIVE: The Stanley Film Fest Edition! 03/25/2014 – BENEATH Now Available on Blu-ray & DVD! 03/05/2014 – Damici spills on STAKE LAND tv developments: dog vamps! 01/07/2014 – BIRTH OF THE LIVING DEAD Now on DVD! 01/06/2014 – “The Past Inside The Present” is a Kickstarter Staff Pick! 12/19/2013 – OLD NEWS DEPT: Jack Fessenden in Fangoria article posted Dec 3rd! 12/17/2013 – Jerry Smith of Icons of Fright ranks BENEATH as one of Top 13 Horror of 2013! 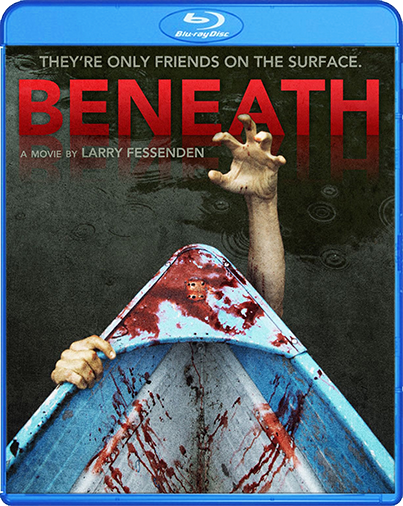 12/04/2013 – BENEATH is coming to DVD and Blu-Ray! Get a look at the reversible cover art. 11/07/2013 – BIRTH OF THE LIVING DEAD is now in theaters, On Demand, and on iTunes! 10/30/2013 – BIRTH OF THE LIVING DEAD 100% Fresh, on the web and on the streets. 10/04/2013 – BENEATH premieres on Chiller tonight at 9 PM ET! 10/02/2013 – Announcing The BIRTH OF THE LIVING DEAD Zombie Photo Contest! 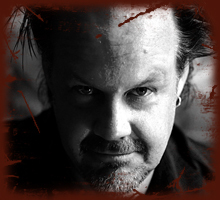 09/20/2013 – Larry Fessenden talks TALES and more with Movie Geeks United! 09/20/2013 – AICN on Tales: “Like Father, Like Son”! 09/19/2013 – Dread Central Exclusive: Glenn McQuaid and Larry Fessenden Talk Tales From Beyond the Pale and More! 09/16/2013 – Masters of Horror: ‘Tales from Beyond the Pale’ returns! 09/14/2013 – AICN on Tales From Beyond The Pale, Season 2 LIVE! 08/12/2013 – BIRTH OF THE LIVING DEAD Sneak Preview at Detroit Zombie Con! 07/11/2013 – What do BENEATH and X-MEN have in common? Answer: BRAHM REVEL! 07/10/2013 – BENEATH Comic Book Now Available On ComiXology! 06/20/2013 – BENEATH Theatrical and VOD Release Date Announced! 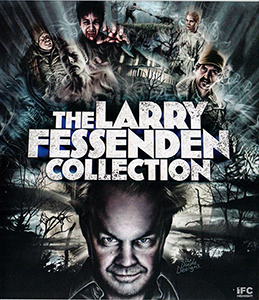 06/13/2013 – Fantasia Frontières Projects from Larry Fessenden, etc. 04/04/2013 – THE COMEDY screens at The McKittrick Hotel! 02/05/2013 – Fessenden and Reznick to present at New York Video Games Critic’s Circle Awards show tonight! 12/19/2012 – GLASS EYE PIX STOCKING STUFFERS!! 12/14/2012 – “The Comedy” in Brooklyn, opens in Colombia and Nashville. 12/04/2012 – Glass Eye PIX OF THE WEEK! 11/30/2012 – HAPPY HORRORDAYS FROM GLASS EYE PIX. Creepy Christmas Rerun Starts tomorrow DEC 1ST! 10/25/2012 – THE COMEDY: Now Available on VOD! 10/24/2012 – I SELL THE DEAD unspools in Rahway NJ Friday 26 Oct; Fessenden and McQuaid will attend. 10/24/2012 – Rick Alverson’s THE COMEDY Now Available On Demand! 10/02/2012 – HYPOTHERMIA out on DVD and VOD today! 09/19/2012 – HYPOTHERMIA Poster Receives Media Spotlight! 08/17/2012 – TALES FROM BEYOND THE PALE live in October! 08/12/2012 – Fessenden enters week 2 on BENEATH shoot. 07/29/2012 – Nice Write Up For ‘THE LAST WINTER’ Graphic Novel! 06/22/2012 – THE COMEDY at BAM Saturday night!! 06/22/2012 – ‘Bro,’ opens in L.A.